Items I’m dreaming about these days…. I’m dreaming about having this gorgeous bag in my life. The whole outfit really! One of my favorite parts of shopping isn’t shopping at all — it’s wishlisting! I love to peruse my favorite retailers’ websites, and occasionally add a few new ones into the mix, to get inspired by the all the pretty products out there. Will all of these end up in my closet? Heck no. Will some of them? Perhaps. Is it fun to dream about owning all of them? You bet!! 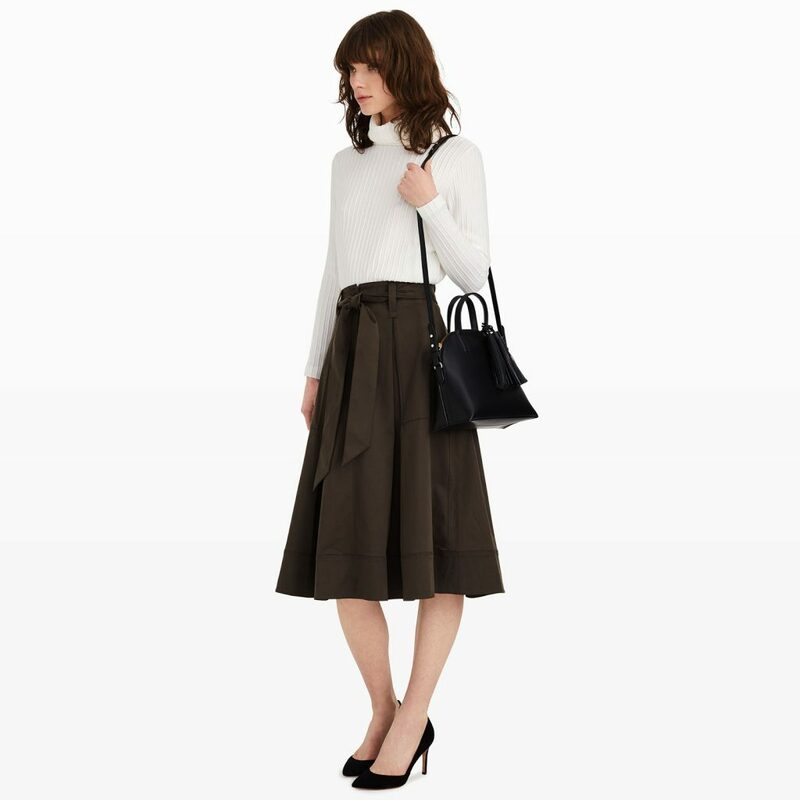 Take the Loeffler Randall Satchel ($450) above. Not only am I inspired by how fun this bag looks, I’m also loving the entire outfit! Styling ideas galore. This bag is also available at: 1 | 2 | 3 | 4 | 5 — more styling ideas for the bag too! These bow-back jeans are the cutest thing I’ve ever seen! 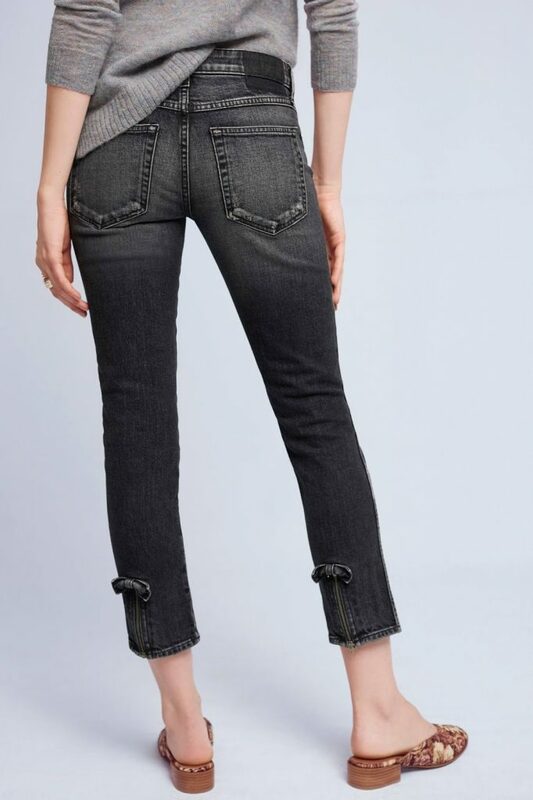 Some of these dream items I hope to buy at some point while others, like the AMO Bow Jeans ($268, above) are probably more of a pipe dream. They apparently run small and these days I’m right on the border of regular jean sizes at a 31/32, which appears to be the largest size these come in. Add in reports that they are narrow through the hips and, well, even at half-marathon or triathlon shape I somehow doubt these would fit me right. So instead I’ll draw little mental hearts around them and ponder why so many designer jean brands seem to limit their clientele to those of the model body type…? Or perhaps I will be happily surprised to find these jeans in my size and that they somehow fit! A wallet problem but a happy closet. These jeans are also available via: 1 | 2 | 3 | 4 | 5. I saw this backpack, and then I heard the Shopping Angels Chorus sing! Sometimes items are just dreams simply because I can’t find them anywhere. I don’t know how I stumbled across the beautiful blue Chloe Faye Mini Backpack ($1,490) you see above but as I mentioned on my Instagram last week ever since I have it’s been a fruitless hunt to find one! Trips to all the Chloe boutiques in Manhattan, plus our various luxury department stores and calls to countless stores around the nation have turned up nada. It’s not that this bag is completely sold out — it’s just this color that is impossible to find. And as I have my heart set on the blue, I guess I’m waiting until I get a magical callback from the store or one pops into stock online. 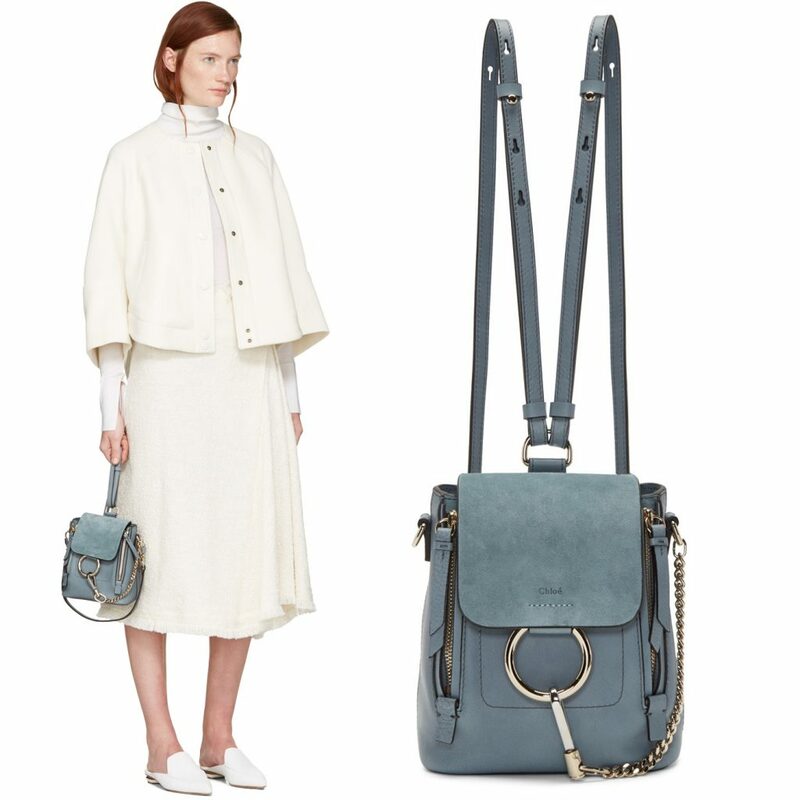 There is a blue in the next size up of this bag…but it’s not the perfect carryall size like this one is for me. Bags are such a funny thing! 2 | And so does this happy yellow-toned Chloe Drew, also here. 3 | Of course, not everything I love has to be expensive. I adore this Sole Society tote, I’m just not sure where I’d use it. And with an extra small closet now, that means it has to wait. 4 | Nor do all of my dream items have to be bags. I have so many Rebecca Taylor items on my wishlist right now! Let’s start with this cute outfit…top and skirt. 6 | …and this cute floral bustier to match. 7 | I’m also gaga over this Rebecca Taylor leather skirt! What dream items is your imaginary closet stocked with right now? What are you wishlisting, dreaming of, drooling over these days? Previous Post Last Day to take an extra 40% off sale at Anthropologie & Free People!! That mini backpack is beautiful! At $250, it's a splurge for my budget since it doesn't really fit into my lifestyle… but it's so pretty! Yes, I love Yumi Kim!! Such a beautiful pick Kelly. What's on your Sundance list, Nam? They have a lot of pretties! The Victorian essence tunic is really pretty. i have it wishlisted too.